Age Debate: Is this the end of AAP? AAP will have to fight to survive after the corruption charge against Arvind Kejriwal. Indian politics is experiencing a sense of déjà vu of the socialist pattern in the form of the Aam Aadmi Party. One would have thought that socialists and socialism all over the world was fast becoming obsolete. But the metamorphosis of India Against Corruption (IAC) to the AAP, from non-political agitation against corruption and mal-governance to a political party, is turning out to be socialistic. Half-baked Indian socialists have captured the leadership of the AAP and are busy turning it sharply to the Left. The AAP stood for transparency and hence it racked up whopping support, winning Delhi election with flying colours. But very soon after the victory, the party began to collapse, losing its gems. We have seen the way Prashant Bhushan and Yogendra Yadav were thrown out of the party. 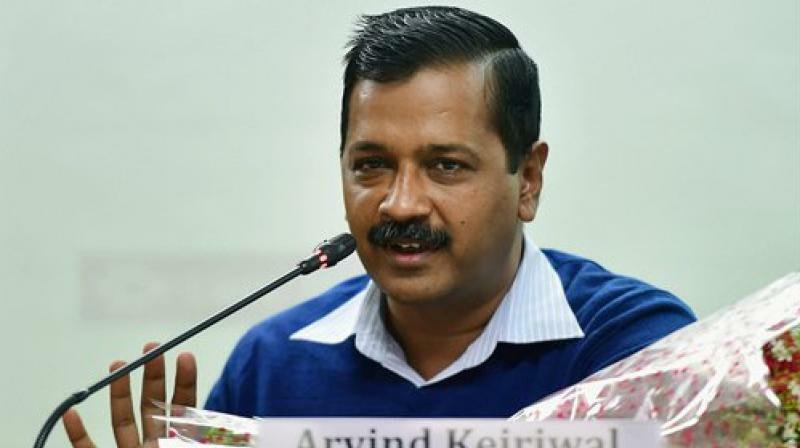 Mr Kejriwal is famous for fighting with everyone, whether it is the PM, L-G, the Delhi police, judiciary, constitutional bodies like the Election Commission, and if he found no one then his own party people. His slogan of corruption-free government has also been questionable in these years of governance. Four ministers had to resign or been removed due to allegations like corruption. Not to forget, six MLAs have also been suspended from the party. But this latest chaos in the AAP seem to deepened after the allegations of corruption by former minister Kapil Mishra, when he said he saw Mr Kejriwal taking Rs 2 crores as a bribe from his another colleague, Satyendar Kumar Jain. With leaders like Kumar Vishwas, Mr Mishra and several other MLAs launching an offensive against Mr Kejriwal, the future of the party that promised the politics of change, is on the verge of collapse. And that’s why the man whose Lokpal movement in 2011 laid the foundation of anti-corruption crusade, which got a political face in the form of the AAP — Anna Hazare — is also depressed by the way the party is disintegrating. As the AAP battles a war within, one is reminded of what happened in Assam 30 years ago. The parallels are too striking to ignore. Like the AAP that grew out of Anna’s anti-corruption movement, Asom Gana Parishad was formed after the anti-foreigners’ movement. Mr Kejriwal transformed into a politician after he, as Anna’s strategist, forced the UPA to agree to a Lokpal, or the anti-corruption law. For student leaders Prafulla Mahanta and Bhrigu Phukan, signing of the Assam Accord with Prime Minister Rajiv Gandhi was the turning point. In both the movements, youth played a crucial role: AGP was the result of a student’s movement and the AAP attracted youngsters as the freshest option to cleaner politics. The two parties are separated by a generation, yet both show a common trajectory. Like the Yogendra Yadav-Prashant Bhushan saga, as soon as the AGP formed the government in Assam in 1985, stories of differences between chief minister Prafulla Mahanta and his home minister, late Bhrigu Phukan, started to surface regularly. The charges against Mr Mahanta then were similar to what one hear against the AAP’s leadership: he had converted a party that grew out of a mass movement into one that believes in the personality cult. I think we are seeing another AGP in the form of the AAP. The allegations levelled by former minister Kapil Mishra are completely baseless and lack any concrete evidence. Unless these allegations are proved, there is no way they can cause nervousness in the party. The thing about allegations is that they can be hurled by anyone, but they do not mean anything until they are backed by concrete evidence. The allegations of corruption levelled at Chief Minister Arvind Kejriwal do not amount to anything until they are proven in a court of law. Therefore, they have not affected the Aam Aadmi Party in any manner. Health minister Satyendar Kumar Jain, against whom the charge were made that he offered `2 crores to Mr Kejriwal, has already clarified that such deal never took place and he will soon file a defamation suit against Mr Mishra for levelling false allegations. Looking at the non-serious nature of allegations, there could be no course of action per se that the party will have to take. Mr Mishra has not been able to substantiate the charges. The Anti-Corruption Bureau has already rejected the evidence submitted by him on the bribery charges as “useless”. This clearly proves that the former minister does not have any solid evidence to back his allegation. Also, contrary to his claims, the Central Bureau of Investigation cannot directly register an FIR. It will have to first conduct a preliminary inquiry into the matter and we will wait for the result thereafter. Mr Mishra has been spurned ever since he was fired from the Delhi Cabinet and has been making wild allegations ever since. He is actually speaking the language used by the Opposition to defame and belittle the AAP. If he really was committed towards the cause, why didn’t he come forward during his tenure as a Delhi minister? He has been a minister in the Delhi Cabinet for two and a half years now. Why didn’t he make the same allegations in this duration? His conduct speaks volumes about him as a person. How could such a person be believed or taken seriously? I just wish that good sense prevails on him and he stops making a mockery of himself. Mr Jain settling a Rs 50-crore land deal for Mr Kejriwal’s brother-in-law. Now, Mr Mishra has found a new subject of foreign tours. The party leaders have vociferously denied the allegations and have come in support of the AAP chief. The AAP claimed that this was part of a larger conspiracy to “finish off” the party and to “silence” the Opposition. Senior party leader Sanjay Singh has already told the media that the kind of allegations Mr Mishra had levelled made it clear that he was being used to harass the AAP chief and other ministers in the Delhi government. Nobody within the AAP is taking Mr Mishra seriously on the latest issue of foreign trips that he has brought up. Even the Opposition is not taking him seriously now.